A commentary from Rick Nicholls, Managing Director, Bastien Jack Group Ltd, UK property developer. In short, we have opportunity. Initial shock at the prospect of leaving the EU sent the markets into decline, but have they not reacted pretty much as anticipated? Never letting a crisis go without opportunity, selling high to force a low, and then buy back? Since then there has been some indication stability is returning to the markets though GBP to USD and Euro are still trading lower. This is a good thing for UK exports, making them more competitive, assisting those companies that rely on export markets to grow. The UK vote for Brexit probably doesn't mean that the housing market in the UK is about collapse either. While some uncertainty in the short term may reduce house price growth, for the longer-term property investor, this could be a good opportunity for investing. In the 24 hours after the Brexit vote, the value of sterling fell on foreign exchange markets. Not by as much as predicted but by around 6% against the euro and 8% against the dollar. As I'm writing this, the pound is now worth €1.11. This fall means the European property investor has more sterling to spend. 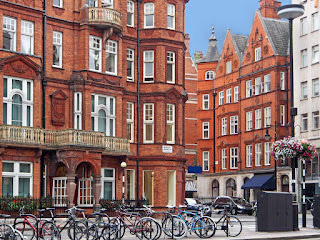 Demand for property, specifically in London from foreign investors is still likely to increase, interest has been high from China and Asia as their currency exchange has automatically allowed them a discount on current prices. This though is likely to bea short window of opportunity as we see markets recover from the initial shock. Demand from home buyers and renters probably won't collapse either. There is concern that demand for housing will fall in London and the UK. However, parliamentary research produced for the 2015 Parliament put demand at between 232,000 to 300,000 new housing units per year through to 2020. Demand for new homes is exceeding supply by around 150,000 every year. This demand, fed by the number of new households created each year, is unlikely to fall below the level of supply. One of the main negotiations the UK and EU will have to discuss is the free movement of people. Despite the ‘Leave' campaign suggesting a limit to immigration, we now understand there needs to be movement but objective negotiations will have take place. This will form a significant part of the negotiations to leave the EU. Outside the EU, the Prime Minister's current visit to India has the subject of immigration firmly on the agenda for a post Brexit trade deal. 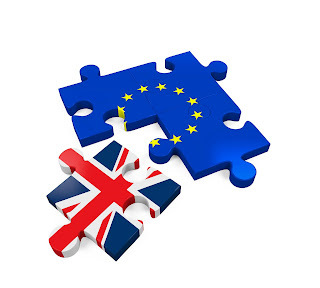 The uncertainty of the exact outcome of Brexit may cause the property investor a little nervousness, but the fundamentals for UK property remain strong. In terms of capital growth, there are a number of comparable data choices but the Real House price tracker provides more meaningful guide to house prices and has been adjusted for the effects of inflation over the same period. Results confirm the increases in house prices have risen faster than inflation, and includes the last recession where the fall can be seen as a correction when compared to the overall property performance. There has been widespread comment as to the likely effects on house prices, with falls of between 5% and 10% for areas outside London, though little evidence can be found to support this so far. The BTL investor has also seen positive movements since 2001 with the size of private renters beginning to grow again. Annual rent rises too have accelerated in recent years and these are not limited to London. Bristol and Brighton both enjoyed increases, averaging circa 18% in 2015 compared to the previous year. The insurer Homelet reported similar rises in the North (Newcastle upon Tyne and Edinburgh) with around 16% over the previous year. Ultimately the increases are attributable to what's happening in their specific area and will be influenced by strong fundamentals. Perhaps Hull can expect some positive growth when it is crowned City of Culture? Rents in London have continued to rise with greater pace than other areas in the UK but have slowed since 2014, therefore a narrowing of the rent inflation gap between London and the rest of the UK. Even with the recent policy change for buy-to-let investors paying additional stamp duty, more people have turned to BTL investments perhaps as an alternative to low interest rates, bolstered with the knowledge the pace of house building has not kept up with demand therefore sustaining their investment. At the time of the referendum result, there was speculation the base rate would reduce from 0.5% to 0.25% which did take place in August. The Bank of England indicated they would consider reducing further if the economy worsened, which so far has not been the case. It was also confirmed at the time, they also would add money to support confidence and restrict banks freezing liquidity, if not this would probably cause a further credit crunch and restrict mortgage finance. The governor of the Bank of England, Mark Carney, confirmed the reserve of £250bn can be made available if required. Carney further commented the substantial capital held and large liquidity gives banks the flexibility to continue to lend to businesses and individuals even during challenging times. This suggests provision and safeguards are in place to maintain current lending to suit demand. Since the referendum, the markets have rallied well and only recently fallen as investors are perhaps concerned that central banks around the globe are easing up on the monetary policies given the uncertainty of the US election result. In the UK, mortgage approvals by the main banks increased in September after a 19-month low in August. They were lower than the year before but speaking with our local agents, they suggest it's down to a lack of supply of new build property rather than purchasing confidence. There are four main areas for focus as we get to grips with the prospect of the UK outside the EU. 1) Calm - we have some indication this is already with us; the markets do seem to have calmed. This is probably due to all the positions the markets took on ‘Remain' have now well and truly played out. It's not over yet though, the volatility is set to continue until Article 50 has been triggered and a new directional plan from the government for the UK to leave is known. 2) Change - Nothing ever stays the same, what works for today may not be right for tomorrow. A pertinent example is Kodak, they tried to ignore new technology hoping it would go away by itself on the basis of it being too expensive, too slow, too complicated etc. It wasn't and their market changed irreversibly in a relatively short period of time, moving from wet film to digital technology. 3) Opportunity - Leaving the EU does provide opportunity. With price correction, there is opportunity to procure better land deals than prior to the referendum, as there may be fewer developers with available funding. Contractors had full order books and build costs had become very high prior to the referendum. We are aware some development contracts have been cancelled as a result of Brexit. Therefore, there might be more opportunity to reduce build costs as price elasticity plays out. The current volatility will ease. The fact the UK has to build more houses to meet demand won't change. Bastien Jack Group Ltd has a strong project pipeline and always procures sites which have strong fundamentals and in areas where people want to live. There is a huge amount of due diligence which goes into every site appraisal including courting many local agents and advisors to confirm local demand and Gross Development Values. Speaking with agents in our pipeline areas, they have confirmed confidence is still strong and enthusiastic house viewings are still going ahead. As long as lending is still being offered and liquidity remains within the economy, there remains a great opportunity for us to progress. For more information on Bastien Jack Ltd investments please visit https://www.bastienjack.com. To arrange an interview or comment from Rick Nicholls, MD, please contact Liam Thompson at lthompson@sks-london.co.uk , http://sks-of-london.com, or on +44 (0) 20 3290 6001.